Danielle Lucio, licensed acupuncturist, graduated from the Midwest College of Oriental Medicine with both a Masters Degree in Oriental Medicine and Bachelor of Science Degree in Nutrition. 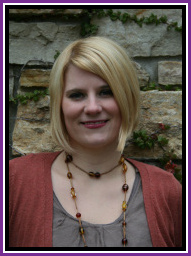 Danielle also has a BA in Psychology and is a licensed acupuncturist in the state of Wisconsin. Areas of speciality and interest include women’s health, infertility, vulvodynia, interstitial cystitis, and gastrointestional disorders. Danielle has treated a multitude of health conditions including but not limited to, musculoskeletal and neurological conditions, chronic pain, reproductive and gynecological issues, as well as digestive, sleep, urinary, autoimmune disease, diabetes, respiratory, dermatological and mental health issues.